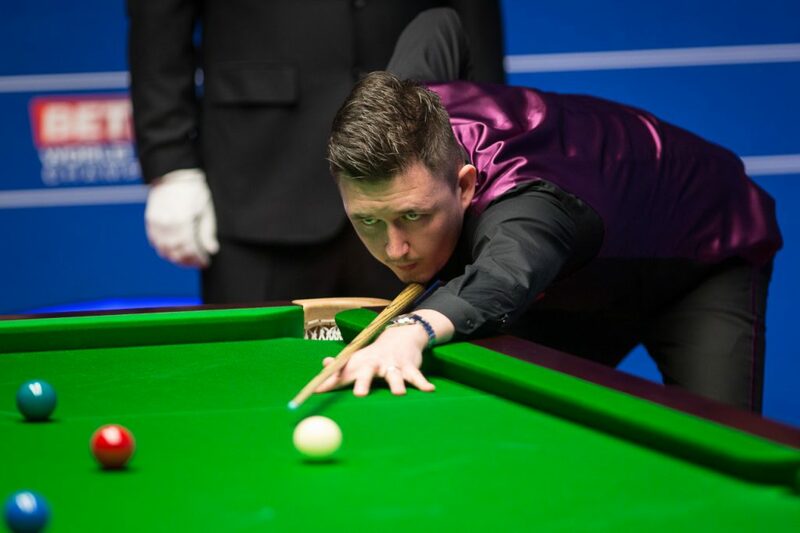 Kyren Wilson battled past Yorkshire’s David Grace 10-6 to progress to the second round of the Betfred World Championship. The Warrior has shot into the world’s top 16 since making his breakthrough win at the Shanghai Masters last season and is in form after reaching the semi-final stage at the recent China Open in Beijing. Yorkshire’s Grace was making his Crucible debut after coming through qualifying for the first time last week at Ponds Forge. Wilson held a slender advantage going into this morning’s concluding session, but it could have been bigger with Grace fighting back from three frames down to narrow the gap to just 5-4. The world number 14 moved out to a 7-5 lead after a fragmented start to the session. At that point Grace upped the standard with a century run of 104. Wilson responded immediately to re-establish his advantage thanks to a break of 93. He then claimed the following two frames to reach round two with a 10-6 win. Next up for Wilson will be either his practice partner Peter Ebdon or 2015 World Champion Stuart Bingham. “The match was a little bit scrappy in places, maybe that was to be expected, it was David’s debut and I’ve only been here a few years myself,” said Wilson who reached the Crucible quarter-finals in 2016. “I’m very pleased to get over the line. I felt like I really stepped it up a gear towards the end. In the last three or four frames I really took control which was very pleasing. “You have to congratulate David, it’s not easy going out there and playing for the first time. He played very well, he wasn’t going away there was always one or two frames in it. Towards the end I managed to establish a two frame lead and I felt comfortable and then managed to see out the match. 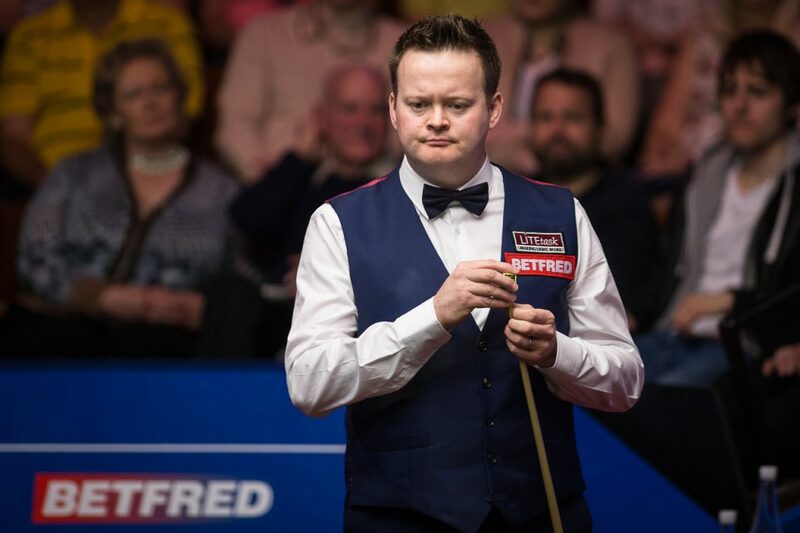 Grace was disappointed to exit at the first hurdle on his Crucible debut, but admitted that he enjoyed the experience of making his appearing at the World Championship in his home county. “I tried my hardest but I don’t think I was clinical enough. I seemed to get in first in a lot of frames, but I was getting to 20 and missing a bad one. Kyren was mopping up. “I felt like I was cueing well and enjoying it, and I wasn’t expecting to miss the balls I missed, which is why it was shocking some of the easy ones I was missing. Nobody wants to get absolutely dusted, at least I made a game of it up until he pulled away at the end but it was unbelievable to play there. Shaun Murphy holds a 6-3 lead going into his deciding session with Yan Bingtao in an intriguing encounter. The Magician claimed his seventh ranking title recently at the Gibraltar Open. Yan’s appearance sees him become the first player born this century to perform at the Crucible and the second youngest ever following Luca Brecel. Yan compiled a run of 109, his first century at the theatre of dreams, to level the scores at 1-1. However, Murphy made the most telling move in the fourth frame, a break of 112 put him 3-1 up at the mid-session. The 2005 World Champion made it back to back centuries when they returned as he strung together a run of 118. Yan remained unshaken by Murphy’s break building power and won the next two frames to move within one at 4-3. Murphy won the eighth frame, before making a break of 81 to ensure a healthy 6-3 lead at the end of play.